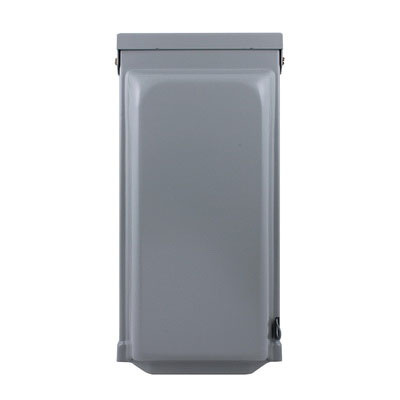 GE Industrial Corrosion-resistant twist-lock power inlet in electro deposition painted finish, has G90 galvanized steel construction for strength and durability. The twist-lock power insert is voltage rated at 120/240-Volts and current rated at 30-Amps. It measures 14-3/8-Inch x 6-3/4-Inch x 5-3/16-Inch and can be surface mountable. This NEMA 3R and NEMA L14-30 rated twist-lock power insert is ideal to use in tough environment. The twist-lock power inlet is cULus listed.